The new ALD Expert Access app offers ALD customers quick access to useful tools for everyday operations in the metallurgy and heat treatment sectors. 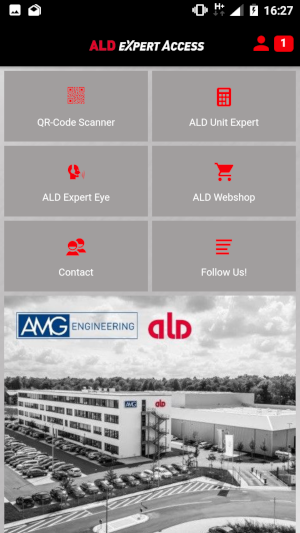 Users working in production, maintenance and procurement can use the modules ALD Expert Eye, ALD Webshop and QR-Code Scan to save significant time during maintenance activities and procuring spare parts. The ALD Unit Expert module quickly calculates and converts values and physical units. Additional modules will be added in the future. 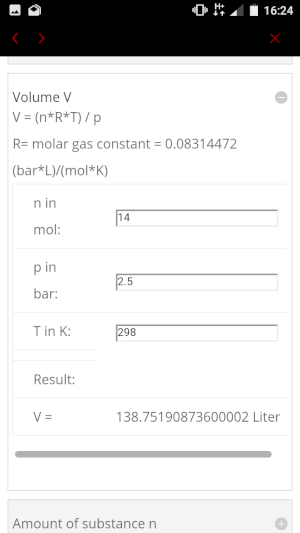 ALD Unit Expert: This unit converter quickly converts physical values into the relevant units: mass, length, area, volume, pressure, density, temperature, energy, capacity, gas law and leak rate. ALD Expert Eye: Directly access the ALD Expert Eye WebClient in the browser. ALD Expert Eye allows you to access audio-visual support over the internet. Receive rapid assistance with e.g. maintenance activities or questions regarding the operation of equipment. During the online session, the ALD expert receives the visual information from your video camera (e.g. smartphone or smart glasses) while talking with you at the same time. Prior registration with ALD is required. ALD Webshop: Directly access the ALD Webshop in the browser. In the Webshop, registered customers can find the right spare and replacement parts (and consumables) for their ALD machines. Offers are generated at the push of a button and purchase orders can be triggered by authorized users. Prior registration with ALD is required. QR-Code Scan: QR codes can be scanned using the smartphone camera. When used with the special QR codes on ALD equipment, this function accesses the ALD Webshop and the relevant part is displayed. Contact: Quickly access important ALD contact information, with after sales service, sales and distribution and international locations. Follow us! : Quickly access ALD’s social media channels: Facebook, YouTube, Xing and Instagram. The ALD Expert Access app is free and does not require registration. However, please note that some of the app’s functions link to special websites that require prior registration with ALD before use. Some functions can only be used with an internet connection, and this may result in charges for the user. The app is now available for download from the Apple Store and Google Play. It is available for Apple (iPhone, iPad) and Android (smartphones and tables) devices, and requires a newer version of the relevant operating system. All user interfaces of the app and the associated functional modules are usually displayed in English. legal notes: Apple is a trademark of Apple Inc., registered in the U.S. and other countries and regions. App Store is a service mark of Apple Inc. Google Play and the Google Play logo are trademarks of Google LLC.